Here we go. The Beatles sophomore album. With the Beatles is the second studio album by the English rock group the Beatles. It was released on 22 November 1963, on Parlophone, and was recorded four months after the band's debut Please Please Me. The album features eight original compositions (seven by Lennon–McCartney and "Don't Bother Me", George Harrison's first recorded solo composition and his first released on a Beatles album) and six covers (mostly of Motown, rock and roll, and R&B hits). The cover photograph was taken by the fashion photographer Robert Freeman, and it has been mimicked by several music groups over the years. Following on the heels of the success of their first album, the Beatles were anxious to not rock the boat so they kept the general formula that seemed to work so well on Please Please Me. Though they took more time to record it. My first pick is an easy one. Sort of. I think Hold Me Tight is probably the weakest Lennon/McCartney song in the entire Beatles oeuvre. However, George Harrison's first attempt at song writing isn't exactly a shining moment... But which to vote off? Ultimately, Hold Me Tight is fun. The hand claps give it energy and I kind of dig that galloping rhythm. Whereas Don't Bother Me is heavy. It has some interesting guitar work. But Harrison's vocal and overdubs are pretty messy. I'll vote Don't Bother Me. Had to think what to shoo away 1st - "All I've got to do" & "You really got a hold". 2 songs that would rather not exist. Dilemma. "You really got a hold". firstly, let's dump 'little child'. This is such a good album. But "Little Child" stands out as the weakest track. Lots of irrelevant tracks on here, but my least favorite is Little Child. The album cover is stylish, black & white & everything. It is weak song, "Little child", I like it because it's joyful & short. 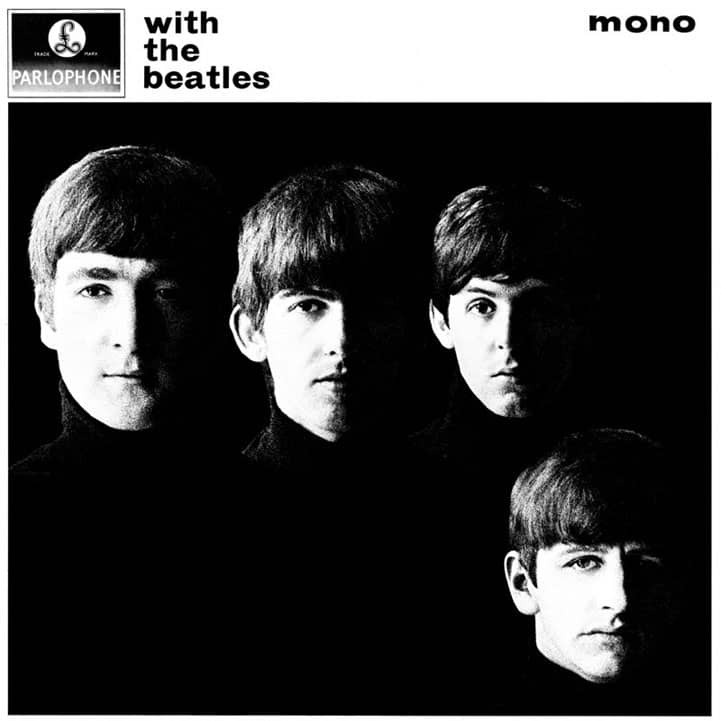 "Till there was you" is Paul's best lead in the album. & it's beautiful, kind of. "Don't bother me" is boring. Top 3 imo "Mr. Postman", "Money"*, "Devil in her heart". *superior version by The Rolling Stones. Was it intentional for this thread to start on the 53rd anniversary of the album's release? Wow. No. Just a bit of serendipity. I'd never noticed how many of my least favorite Beatles songs are on this album. Probably because I don't listen to the early Beatles much and when I was young and did listen more to the early Beatles, I had the US albums. I do really like a few songs here though. Ok, it was released on NOVEMBER 22. Not September. Ah well. pixletwin, Guess not everybody is reading your intro quote box which clearly states the release date. You fell for it too! ouch! Just any ol' 22 won't do. I love this album, but as with many of us here - grew up with Capitol's Meet The Beatles!. I didn't hear the British counterpart until 1970, although I had read the track listing in 1964. To this day I have a problem with "Money" placed as the last track. I also believe Meet The Beatles! is a much stronger set of songs than The Beatles Second Album. Most people do not agree with that. "Money" was given no important place on the second Capitol Beatles album. And, as BE pointed out, George's numbers were tossed to the second American album. John had strong numbers on both albums, 'cause, well, John was just the best of the bunch. One of the things I do love about the way with the beatles was put together is opening with "It Won't Be Long" and "All I've Got To Do" - two of Lennon's strongest early songs. Again, given no special place by Capitol on Meet The Beatles!. Wasn't that just their way? "Don't Bother Me" was my favorite George song until 1968, when it was finally equaled by his white album offerings, though I love "The Inner Light" and all of his songs from Yellow Submarine. I'm going to guess the George and Ringo songs from every era will be under the wheels of the Magical Mystery Tour bus quickly. I hope you do Past Masters or the Hey Jude comp in this game, pixletwin. That's where you will find my favorite George track, ever. Okay. let me vote. My least favorite track on this album is "Till There Was You" -I'll color-code my selections from now on, so as to be easily seen when you are scanning back thru doing the count. Good on ya. Leave it to an Australian to correct us yanks! I like your new avatar and user-name, too. I also see a running argument developing... "Money" -My favorite version is by The Beatles. I forgot all about The Beatles Story. That was re-released? Fun. I hope you do Past Masters or the Hey Jude comp in this game, pixletwin. That's where you will find my favorite George track, ever. Hey Emily, Yeah, when they released the big box of all the American albums they stuck that in there to be complete. Has Hey Jude album, too. The covers were done better than on the first two volumes as well, HELP! has a gate-fold cover. Full of neat stuff, you get both of the Yesterday...and Today covers. You can buy individual albums from this box. Check it out. Seems like "Little child" will go. It's 26th. Time for next round. Voting was pretty evenly spread out. 3 smilers voted to put the Little Child out to the orphanage. I'll STILL vote Don't Bother Me. Devil In Her Heart - not a bad song, just one of the more forgettable covers the band did.